A tell-all account of how politicians, unions and its servile chairmen destroyed Air India. Jitender Bhargava served Air India for over two decades and retired as executive director of the beleaguered state-owned airline. His book The Descent of Air India is a 'tell all' account, unravelling the fall of his former employer and the actions of the people in power that led to it. Bhargava draws a parallel with Agatha Christie's Murder on the Orient Express, where all 12 suspects in a murder are eventually found to have joined hands to kill the victim. So too, no one person or agency, but several are responsible for Air India's collapse, he says - the unions, the politicians and bureaucrats and the overly submissive chairmen and managing directors of the airline. 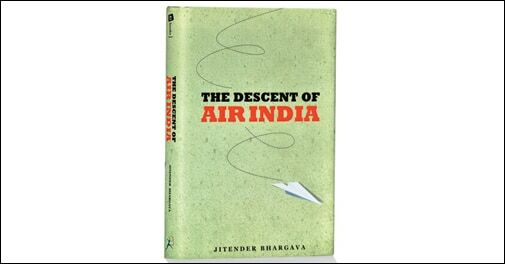 But above all, Bhargava feels that it was the ill-conceived, hurried and half-hearted merger of the domestic (Indian Airlines) and the international (Air India) entities that killed the latter. He also analyses how Air India's decline was facilitated by its own employees, who were not committed enough and did not move fast enough in the right direction when it was required. He concludes that the airline's death was not just murder but suicide as well. Among the killers, Bhargava considers the Ministry of Civil Aviation a prime suspect. The murderers together ensured that while the paperwork kept moving, the real benefits that could have accrued from the 'maha' merger were never realised. Proposals by leading consultancy firm Accenture, which had advised the merger, were never fully implemented. According to Bhargava, V. Thulasidas, Air India's former chairman and managing director, and Praful Patel, former civil aviation minister, took many decisions that were detrimental to the airline's interest. "I felt Air India witnessed its worst phase of political interference during the Praful Patel-V. Thulasidas tenure during which decisions on acquisition or leasing of aircraft, purchase of merchandise, appointments… were taken without any thought for the airline's future," he writes. Bhargava, who was Air India's public face till early 2000 and perforce had to defend management policies then, also blames the unions. The decay started way back in the 1970s, he says, and it was because of them. "In the 1970s unions dominated cabin crew and their interests were not aligned to Air India's interests. Productivity was at the back burner and agitation was the buzzword." The book further observes how international carriers took advantage of the slipping service standards and "the rot of 1970s began to smell in the 1990s". The book shows up Air India as a failing airline that has rotted to the core and says no ostensibly positive sign should be taken at face value. "… One should not ignore the ground realities. Unless the real picture is known, all attempts at course correction would be half hearted," he writes. The timing of the book could not have been better, what with Ajit Singh, the current civil aviation minister, having recently raked up a controversy by suggesting that Air India needed to be privatised to survive and compete without government support. And as the dynamics of the aviation industry in India continue changing, with new players throwing up challenges and existing ones forging new strategic alliances, Bhargava raises another pertinent point: has Air India become irrelevant to Indian aviation? The answer is a resounding yes, if we take a look at the airline's diminishing market share, with less than one in five passengers patronising it, and its dwindling esteem among travellers.